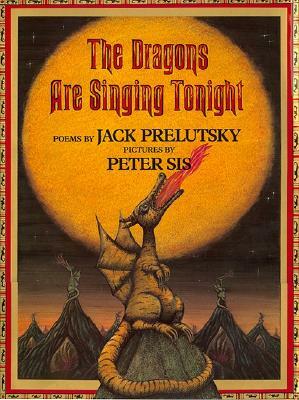 An "excellent collection....Prelutsky and Sis...bring to life so many sorts of dragons: the large, the small, the ferocious, the technological, the gentle, the ominous, and the disconsolate. There's a `just right' quality to the verse that makes it a pleasure to read the words aloud. Their sounds fit together with seamless craftsmanship and their sense rewards listeners with humor, imagination, and occasional poignancy....Because it appeals on so many levels, this is one poetry book that won't siton the shelf for long."--Booklist. Peter Sís is an internationally acclaimed author, artist, and filmmaker. Among his works are three Caldecott Honor books: The Wall: Growing Up Behind the Iron Curtain; Tibet: Through the Red Box; and Starry Messenger: Galileo Galilei. He has illustrated five other novels by Sid Fleischman, including the Newbery Medal book The Whipping Boy. He lives with his family in New York State.